A Fine Piece & A Blether – Because there's not much that can't be fixed with a cake and a chat! Because there's not much that can't be fixed with a cake and a chat! Alison (A Fine Piece… on The British Tag! The Ordinary Lovely on The British Tag! Notmyyearoff on The British Tag! Alison (A Fine Piece… on Tomorrow. Thanks to Cate over at Me Add Three for the tag – 12 questions originally created by Sammi from Beauty Crush all about the best culture in the world – the culture of Great Britain. Of course this is an interesting time for me to be answering these questions with the Scottish independence referendum only two days away. Do I consider myself British or Scottish? The truthful answer is both. If we are abroad on holiday and someone asks me where I am from, I would say Scotland. 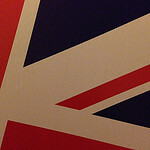 But I have a British passport, if I’m asked to fill in my nationality on a form I would write British…. Take from that what you will! Anyway, here goes with the questions! I don’t tend to drink tea very often, I’m more of a coffee girl. Usually limit myself to 2 cups a day though, or I’d be bouncing off the walls. Particularly as I always add two sugars! Has to be afternoon tea! Ramshackle. As in “B, your hair is looking a bit ramshackle this morning”. A quarter of sherbet lemons! Having barely touched the booze since before I was pregnant with A, I think I’d be better off running a coffee shop, called A Fine Piece and A Blether (took me long enough to think of the blog name, so I’m going to milk it!!). I have loads of favourite restaurants, but me and hubby are due a visit to Yorokobi (so not British. Or Scottish!). British music always makes me think Brit Pop – the days of the Blur v Oasis battle! Yes, I know I’m showing my age…! Oh no, makes me cowk! There’s almost exactly four years between B and A. Three years and 353 days to be exact. For those who can’t be faffed doing the maths, A was born twelve days before B’s 4th birthday! Some people think this is quite a big gap to have. It’s certainly a bigger gap than most of our friends have, and of our antenatal friends from when I was pregnant with B, we were the last to have a second baby (apart from one couple who aren’t planning another). But according to a recent article in The Times, we’re not that unusual. The article says that the average age gap between siblings in the UK is now 3 years and 8 months. We didn’t originally plan such a big gap. Even before B was born, we spoke about having a gap of around two and a half years, and I remember when she was tiny and we were in that sleep deprived fog of the newborn days anxiously asking hubby “You do still want another one don’t you?”!!! But things changed, we decided to wait, and then it took a bit longer than we had hoped, and I sadly had a miscarriage before A was conceived (more about all of those things one day I’m sure!). But putting aside the fact that their birthdays are so close together (imagine a birthday party for 21 four year olds in a church hall when your baby is 17 days old….!! ), I think the four year gap is working out pretty well for us so far. Of course every family is different, and there’s no such thing as a ‘perfect’ gap. I know there are pros and cons whatever gap you have, but here are some of my favourite things about how our wee family has worked out. One of the biggest positives is the fact that I am on maternity leave during B’s first few months at school. I can drop her off every day, and pick her up (a real bonus for the first three weeks when she has only been in mornings – what a faff that would be if I was working!). We don’t have to worry about after school care, I can sit and do homework with her in the afternoon, rather than at 6pm when I’m trying to cook tea as well, and I just generally feel happy that I am getting the opportunity to help her settle in without having to juggle work as well. I’m also very grateful for all the time I had to devote to B on her own. I was very lucky – I had nearly 14 months off work after she was born, and when I went back to work it was only three days a week, so we’ve had lots and lots of one on one time. I like to think that she has benefitted from not having to ‘share’ me with a younger sibling until she was 4, and I will always cherish that time we had just the two of us. And of course now B is at school, I will get that one on one time with A as well – not quite to the same extent, but more than if we’d had a smaller gap. At four, B was already pretty independent in a lot of ways by the time A came along. She could go to the toilet by herself, get herself a snack from the cupboard, get dressed pretty much by herself… She was also very good at entertaining herself in the early days when I was constantly on the sofa feeding A. Yes we had lovely quiet times snuggled up reading stories, but she was also quite happy to take herself off to play with her dolls house or do a puzzle in the playroom for fifteen minutes. Of course there was the time when I told her to play quietly while A had his feed, she disappeared through to the playroom, came back dressed as Merida, and started firing suction cup arrows at the patio doors….!! I was worried that B would be jealous of a new baby, given that she had been our one and only for almost four years, but other than a few stampy feet and shouty moments in the early days, she’s pretty much taken it all in her stride. We involved her right from the start – I will never forget the excitement on her wee face when we showed her the 12 week scan pictures and told her she was going to be a big sister. She’s so proud when people ask her about A, and she’s enjoyed showing him off to all her new friends at school. They are doing phonics and for each sound they learn they have to take something starting with that sound into school – for ‘A’, she took a photo of her brother! She reads him stories, sings him nursery rhymes and just generally chatters away to him nineteen to the dozen! And for his part, A absolutely adores his big sister. His smile when she comes through to see him in the morning is lovely, and him giggling as she tickles him is one of those memories I have locked away in my heart (to recall on the days when they are fighting like cat and dog in a few years!!). Of course it hasn’t been plain sailing the entire time these last nine and a half months. I couldn’t count the number of times I’d just got A off for a nap only to have to waken him after 10 minutes to take B to ballet or gymnastics. And then there were the days me and B would start baking, or doing a craft project, only to be interrupted halfway through. Those of you who follow me on Twitter probably know that A is not a particularly great sleeper, but now I have to be up at 6.40am five days a week, regardless of if I’ve only had four hours broken sleep, to get B to school on time. And of course B’s days of daytime naps were long gone by the time A was born, so when they were both at home all day I got no down time at all until they were both in bed! I suppose I do wonder whether they will be close growing up, particularly as a girl and a boy rather than two girls or two boys. Will we be able to find things to do on weekends and holidays that will occupy and entertain them both as they get older? But for now, things are working out pretty well with our 3 year and 353 day gap!! Would love to hear what the best and worst things about the age gaps other people have are! Tomorrow. For most people, an ordinary Tuesday. But not for me and B. Tomorrow I will wave my wee girl off at the school gate for the first time. Tomorrow feels like the start of a new chapter, a chapter that will see her spend more time in the company of other people than she does with me, a chapter that sees her never need me in quite the same way again. How did we get here so quickly? When I was pregnant with B, people told me time and time again how quickly kids grow up. But you don’t appreciate just how quickly until you’re living it. It feels like the last four years and almost nine months have gone by in a heartbeat. And now my clever, hilarious, bossy, gorgeous chatterbox is ready for school. But what if I’m not ready? Don’t get me wrong, I’m excited for her. I’m excited that she’s excited. I see how animated she gets telling me about something new she’s learned at nursery, I see how much satisfaction she gets out of writing a new word, and I know she will thrive in the classroom where every day is filled with new discoveries. I’m excited for the new friends she will make, for the opportunities that school will give her, and I’m excited to see her grow as a person. But at the same time, the growing up scares me. I know I have to let her spread her wings and make her own way in the world, even though she is only four. But it is hard. I don’t think I have ever been this emotional as a parent. I can’t help worrying. What if she struggles to make friends? What if she doesn’t like her school dinner? What if other kids are mean to her? What if she falls over in the playground and hurts herself? There are a million what ifs, stretching way into the future. But all I can do is hope that we have brought her up, and will continue to bring her up, to be able to handle whatever life throws at her. And to know that on the days when it feels like she can’t, that she can always turn to us for support and for love. I suppose that’s my greatest wish as B grows up. That she will always come to me when she needs to – to share in her triumphs, when she needs advice or a shoulder to cry on, when she needs to know that someone is in her corner, fighting her battles right alongside her. And I hope that she will know every single day how proud I am of her. And if tomorrow is the start of a new chapter, then I guess today is the end of a chapter too. So let me just say how lucky I feel to have been part of the first chapter of my little lady’s life. I often tell B that I’ve loved her from the second I knew she was in my tummy. I’ve watched her grow from a teeny tiny newborn, to a clingy toddler who wanted mummy to do everything, to an inquisitive and energetic four year old who most definitely knows her own mind. I’ve watched her adapt to life as a proud big sister, and she amazes me constantly. And although I can guarantee I’ll be crying my eyes out as I walk home from school tomorrow morning, I cannot wait for the next stage of our adventure together. After hardly getting a chance to read at all in June, the past few weeks have seen me get through quite a few books to my ‘to be read’ pile. And with the holidays almost over up here in Scotland, I thought I would share with you what I’ve been reading this summer. Sylvie Woodruff is married to senator Richard, and has spent most of her adult life being the perfect senator’s wife. When Richard makes the headlines for all the wrong reasons, Sylvie takes herself off to her family’s beach house in Connecticut to consider her future. The book also follows the stories of Sylvie and Richard’s daughters Diana (an ER doctor with her own family problems) and Lizzie (a recovering addict), and looks at their relationship as sisters and their relationship with their mother. I really enjoyed the way the story was told from the perspective of the different characters, and I thought the characters themselves were believable, particularly Sylvie who doesn’t really remember who she is apart from a politician’s wife. Chick lit with a twist, would recommend! My mum gave me this book and I have to say it didn’t immediately jump off the shelf at me – historical fiction is not something I read very often. However, once I started reading I could not put it down. Set mostly in Crete during the Second World War, it tells the story of Penelope, a British woman who, against her family’s wishes, becomes a Red Cross nurse and remains in Greece under the occupation of the Nazis. She then returns to Crete 60 years later, and has to face her past and some of the secrets she thought she had left behind. It is clearly a very well researched book, with lots of historical detail, and very descriptive. It is such a compelling story, and you not only get a feel for the atrocities that went on in Greece during that time, but also the sense of friendship and kindness found among strangers. The only criticism I had was at the start I felt it was a bit jumpy between the past and the present day, but it didn’t really affect my enjoyment at all. Definitely a five star read! I know Jodi Picoult is not everyone’s cup of tea, but I really enjoy her books. They always leave you with a lot to think about and House Rules is no different. Jacob Hunt is an 18yo boy with Asperger’s Syndrome. Although he has a higher than average IQ, he struggles to relate to human emotion, and if his daily routine is thrown off kilter he is prone to (sometimes violent) outbursts. When his social skills tutor goes missing and is then found dead, Jacob finds himself accused of her murder. The story is told from the perspective of various different characters, including Jacob, his mum Emma, brother Theo and Jacob’s lawyer, and it is interesting to see all these characters developing. A lot of research clearly went in to not just the character of Jacob as the person with AS, but also how it affects those closest to him. I have to say though, I was fairly sure I knew “whodunnit” very early on, although this didn’t spoil the story at all as I wanted to make sure I was right! This has been sitting on my shelf for ages, and I picked it up because I wanted something light hearted after House Rules and The Fault in Our Stars. Issy is a single mum making ends meet by working at The Honey Trap – an agency that tests men’s fidelity for suspicious wives and girlfriends. Her life starts getting complicated when her son finds a severed finger in their back garden, and then she breaks the golden rule of the agency by sleeping with one of the clients. I couldn’t get into this at all unfortunately – the story was very odd and I wasn’t keen on the writing style. Give it a miss!! Would love to know what others have been reading over the summer. Any recommendations?! For someone who is only four, B has a pretty busy wee life. As well as two full days in nursery (from 9am til 5pm), she also has a ballet class, a gymnastics class and a drama class. She’s learning to ski, and although she doesn’t have proper swimming lessons, hubby is teaching her to swim and they tend to go to the pool once a week. Add into that playdates, trips to the library/park/garden centre, it’s a wonder we have time just to hang out at home!! I do think it’s important to encourage interests and hobbies from an early age, but how much is too much? I’ve been very conscious for the last couple of months that things will change once she starts school. Going from two days a week at nursery to five days a weeks at school (albeit shorter days) will be a big change for her, and I expect for the first term at least she will be pretty exhausted. She’ll have homework and new friends to get to know, playdates, birthday parties, existing friends to try and fit in as well. Something will have to give. But what? The first decision we had to make was about her dancing. I will confess to encouraging her dancing, because it was my ‘thing’ when I was younger. I did ballet, tap and Highland until I was about 10, and I did Scottish Country Dancing from the age of 6 until I was 17, and actually qualified as a teacher! Anyway, when we got back from Center Parcs in May, we had a letter from the dance school about classes after the summer holidays. B is currently in the pre-school ballet class, so obviously a move to the P1/2 class makes sense. However, the letter said that “most children” choose to do two types of dancing – ballet and either tap or jazz. Hmmm, well the dance school would say that, at more than £6 for a half hour lesson!! I didn’t even really give it much consideration. B’s current class is on a Tuesday afternoon, and the P1/2 class runs straight after the pre-school one, and we will probably have to go straight from school. Another class on the same day would mean B not getting home until almost 6pm, which is a long day if she’s been at school since before 9am. It’s also pretty expensive – not just the cost of the class, but the outfit and shoes, costumes for shows, exams and all these things will soon mount up. So we’re sticking just with ballet (so are her friends who go to the same class, so I don’t know who these “most children” are!!). Next up, gymnastics. B has been going to gymnastics for just over a year now. She does a little bit of badge work every week, and now has four badges, then the rest of the 45 minute class is kind of free play around the gym equipment – balancing beams, trampolines, climbing stuff, plus mats for forward rolls and stuff. There are two ladies who supervise, but apart from the badge work bit they don’t ‘teach’ the kids anything as such. B loved it when we first started going, but recently has found it a bit boring – repetitive I guess. She was offered a place at the next class up, but it’s at 3.40pm on a Wednesday – the centre is right at the other side of town, and it would be a major rush to get there from school, so we said no thanks. I didn’t think B would be too fussed, but the last couple of weeks before the holidays, they were taken through to the “big girl’s gym” with all the proper gym equipment, and she got to jump in the pits which she thought was super exciting, and now she is really keen on sticking at it!! I’m sure we could probably find a class on a Saturday, but that would mean giving up drama. We started taking B to drama at the start of this year, partly because she loved the Xmas show she did at nursery last year, and partly to see if it would give her a little bit more confidence, as she was quite shy. It’s an hour on a Saturday, and there are two things I really like about it. The first is that it’s a ‘pay as you go’ affair – you don’t have to pay for a whole term in advance, so if we’re away for a weekend, or if she has a birthday party or is not well, it really doesn’t matter. The second is that I tend to leave A at home with hubby, which means I get an hour to sit in the café and read my book!! 😉 But the main thing of course is that B really enjoys it. There’s singing, dancing, dressing up, games, and if she stuck with it, she would have the chance to take part in shows. 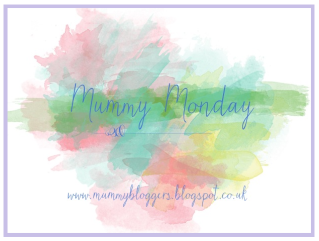 I’m not a pushy mum at all (at least I really hope I’m not!!) but B loves singing and prancing about, and I want to encourage her to enjoy those things before she’s at an age where she’s self conscious about it. Because drama is just a drop in class, she sometimes misses it to go to a skiing lesson at the dry slope near our house. Skiing is very much hubby’s thing. He was brought up very close to Ben Nevis and could go skiing every weekend during the winter. He’s tried to teach me; it almost ended in divorce!! I’m too old and too scared – if we ever went on a winter holiday I’d be sticking to the après ski! Anyway, B absolutely loves it and is actually very good. She’s had several private lessons now, and actually has her own skis and kit! She could join the kids’ ski club which I think you sign up for in blocks of 12 weeks, but hubby seems to think the private lessons are still the way to go for now, probably once every four or five weeks. While it holds absolutely no interest for me whatsoever, I think it’s great that she will have the opportunity to learn as a child. The other thing I’ve put B’s name down for is Rainbows. There was no such thing as Rainbows when I was a kid, but I was a Brownie and a Girl Guide. The one I have her name down for is at the community centre beside her school, so I’m hoping it will give her a chance to socialise with some of the girls from her class (she doesn’t go to the school nursery so will only know one or two kids when she starts P1). She has to be 5 before she starts though, so that won’t be as soon as she starts school. Although now I come to think of it. it may actually clash with her ballet day. Hmmm, we’ll cross that bridge when we come to it! So that gives us ballet and eventually Rainbows on school days, and drama and possibly skiing on weekends. I really think this is plenty when she is going to have to adjust to the school routine, and if it looks like being too much for her then we will rethink. I would love to know what other people’s pre-schoolers and school age children do outside of school. Do you think we do too much? Not enough?! Would love to hear your views! When I tell people that B was born with both hips dislocated, there are two common reactions – most people look horrified, while others (more than you’d think) say “Oh I know someone that happened to”. Some people think it happened during labour, some think she must have been in incredible pain. The proper name for the condition B was born with is Developmental Dysplasia of the Hip, or DDH. DDH refers to a range of abnormalities in the hip joints. It occurs in approximately 0.1% of babies, although a double dislocation is more unusual. It is most common in breech babies, first born girls and babies where there is a family history. B fell into two of those categories – our first born girl was undiagnosed breech and basically sat inside of me with her bum down and feet in front of her face. No wonder her hip joints didn’t grow properly! Anyhow, I am by no means a medical expert on it all, but if you are interested in knowing more, there is good info here and here. The first sign we had that something was wrong was during B’s paediatric check the day after she was born. The paediatrician bent her knees and wiggled her legs about, and said she thought there was a problem with her hips and she was referring us to the hip clinic. I had heard of ” clicky hips” before but was recovering from an emergency section and didn’t really take it in or understand properly the implications of what the doctor was saying. We went to the hip clinic at the kids’ hospital for the first time when B was 7 days old. Hubby had done some reading up and so was better prepared than me for what lay ahead. First of all came an ultrasound scan of B’s hips (during which she had a leaky nappy and was sick!!). My recollections of this part are actually pretty sketchy – I think there was some discussion about ball and socket joints and angles, but it was all completely over my head. We then had a long wait to see the consultant. Miss Elliott. They say first impressions count – well, after four and a half years I have actually come to quite like Miss Elliott, but my feelings towards her will always be coloured by that first meeting. She came into the room, got the scan pictures up on the screen and said “So neither hip is in joint, they are both dislocated”. No beating around the bush. Then she looked at me and said “Don’t worry, it’s nothing you’ve done”. Well, thanks for that, it hadn’t actually crossed my mind that it could have been my fault, but now you mention it, what about all those hours I spent bouncing on my birthing ball?? By this point I was quite emotional and B was hungry, so we were left for a wee while so I could feed her without trying to take in what was being said at the same time. When Miss Elliott came back, she was carrying a mass of Velcro strapping – a Pavlik harness. She explained that this would hold B’s legs in a ‘frog leg’ position to allow the joints to grow correctly. It was to be worn under her clothes 24/7 and shouldn’t be adjusted by us at all. Before I knew what was happening, my tiny toot was stripped off and bundled up into the harness. I don’t actually have any pictures of her just wearing the harness because I hated it so much, but there is more information about it here. When I went to get her dressed again, I could see straight away that her babygrow wouldn’t go on without pushing her legs out of the position the harness was holding them in, so I just had to fasten it halfway and leave the legs dangling. Once the straps had been adjusted to Miss Elliott’s satisfaction, we sat down again and she explained we would need to come back the following week for a check up, and that the harness would remain on for at least 6 weeks. She asked if we had any questions. Hubby asked sensible medical questions – what was the success rate of the harness, what if it didn’t work etc. I asked what I was meant to dress her in. The reply was that she would just have to wear dresses. Without tights. In December…. Then I asked how I should hold her to feed her. Miss Elliott said “The same way you usually hold her.” But that would involve her legs getting pushed together as she lay across my lap. To me, Miss Elliott had absolutely zero bedside manner – she came across as very clinical and not sympathetic at all, and I was basically told I’d just have to manage. And that was it. An appointment was made to come back the following week to check on progress, then we took the harnessed-up B home. My mum came round and I cried. I felt quite alone with nobody to turn to to ask for advice, and I wish we had known support organisations like STEPS existed. Those first few days were a learning curve. Nappy changes were interesting – we couldn’t hold her ankles to lift her bum up, instead it was a case of putting a hand under her bum to lift her and hoping for the best!! None of her newborn clothes fitted her because they would push her legs out of position, so my mum designed and made several pairs of ‘trousers’ with Velcro and poppers that would fit over the harness. We struggled to find breastfeeding positions that worked, but we muddled along (although it probably contributed to my dislike of breastfeeding). Two days after the harness was fitted, I met up with my antenatal friends for the first time since all six babies had been born. We lined them up to take a photo – three boys and three girls. I remember a pang of jealousy as I saw all the others next to B – they were all in the cute newborn clothes, while she was all happed up in the harness, legs akimbo, wearing her funny little makeshift trousers. It seemed so unfair – why had this happened to us? Looking back I know that sounds terribly superficial, but at the time it really upset me. You kind of expect your baby to be perfect, and when they’re not and everyone else’s around you is, it’s kind of hard to take. By the time we returned to the hospital for our next appointment however, we’d adjusted pretty well. B was so little that she didn’t know any different, and for us that first week pre-harness seemed almost like a distant memory – a week is a long time in new-parenthood! The first check up after a week showed some improvement on the right hand side but not much on the left. When I was getting B dressed after the scan, I was horrified to discover that behind B’s knees were all sweaty and gunky 😦 After that I wiped behind her knees gently every day with a baby wipe, and to this day I always wash behind her knees in the bath. We were back at the hospital again after 2 weeks, 4 weeks and 6 weeks. Of course during these visits we saw kids much worse off than B, and came to realise that if this is all we have to deal with, we really should be extremely grateful. The 6 week check was the day after my birthday and I got the best birthday present I could have hoped for – the news that there had been sufficient improvement for the harness to come off!! 🙂 It was replaced with a plastic splint that went on over B’s clothes and was much less restrictive. Miss Elliott said it could come off only for nappy changes and baths for the first four weeks, and then if progress was good it would be worn only at night. I was beyond happy! That first night without the harness B was actually really unsettled, we think just because she had grown so used to it that the freedom to actually move about felt strange to her. But she soon got used to it, and the second day without the harness, at seven and a bit weeks old, she had her first bath and loved it! The plastic splint stayed on constantly for four weeks, and at night for another six weeks. I remember the day we were told it could come off all together – I thought that would be the end of it and we would be discharged from the hip clinic, but Miss Elliott wanted to keep monitoring things as the hip joints were still shallow. I was very disappointed. We had regular check ups at the hip clinic for the next four years. For the most part, the hip joints continued to grow well, although the left one always lagged behind. Outwardly you would never know B’s history – she was slow to roll over and never crawled, but walked at pretty much the same time as her peers and now does ballet and gymnastics (and in fact is super flexible!). But still each appointment filled me with dread – what if things weren’t progressing, what if she needed more treatment?? Sometimes we saw Miss Elliott, sometimes she sent one of her minions!! There were nearly always medical students though – I’m not sure if it was because of the double dislocation, or because of the success of the Pavlik, but she seemed to be a case of interest! Just after B turned 2, progress seemed to have slowed down a bit, and the socket part of the joints were still shallow. There was talk then of putting her under general anaesthetic and injecting dye into the joints to get a clearer picture of what was going on (it was possible that the harness had actually slowed the flow of blood in the joints making growth slower – talk about damned if you do and damned if you don’t!). That was one of the occasions we saw Miss Elliott herself, and we made a joint decision to wait six months and see if things picked up again. Thankfully when we went back that summer, progress was good and no further procedures were needed. When A was born last year, he was automatically referred to the hip clinic because there was now a family history. My heart sank when at the first appointment they said his hip joints were shallow (although both in joint, unlike B’s) and they wanted to see him back when he was 3 months old. Thankfully at the second appointment, the joints had ‘matured’ nicely and we didn’t have to take him back. So our four and a half year journey with DDH is at an end. Of course we know now that we were extremely fortunate – early diagnosis of DDH and treatment with the Pavlik harness meant a relatively easy ride for us, avoiding the need for far more invasive treatment when B was older. And for that, I will forever be grateful to the dreaded Miss Elliott. This is the second of three books that the Call The Midwife TV series is based on. I love the programme and read the first book last year, then hubby bought me book number 3 for Christmas, so I treated myself to this so I could read them in order! This book has fewer babies being born than the first book, and concentrates more on some of the characters in the East End of London that Jennifer Worth came across while working in Poplar, and how living in the workhouses of the early 1900s shaped their lives. The writing is very descriptive, and even the stories and characters I knew from the TV series took on an extra dimension. While there are tales of terrible hardship and tragedy, there are also heartwarming moments of triumph and love. I really enjoyed the book and am looking forward to reading the third one soon! Green Man Running tells the tale of 40 something Dexter, his two sons, and his live-in girlfriend Moy, who Dexter wants to marry. Their lives are complicated by Dexter’s ex-wife, his struggles with debt, his mother’s farm and Moy’s schizophrenic brother. To be honest I struggled with this one a wee bit. The book starts with a serious accident that happened during Dexter’s childhood, and I kept waiting for that to be revisited, or for some ’cause and effect’ that shaped Dexter’s adult life, but it was never really mentioned again. If it had some major significance, then it was lost on me!! I felt there were a lot of storylines and characters that could have been developed more to make it more engaging, but even by the end I found myself not really caring one way or the other what happened! And that’s my lot for this month – will hopefully be back next month with more! Tales from the autism (mad) house!